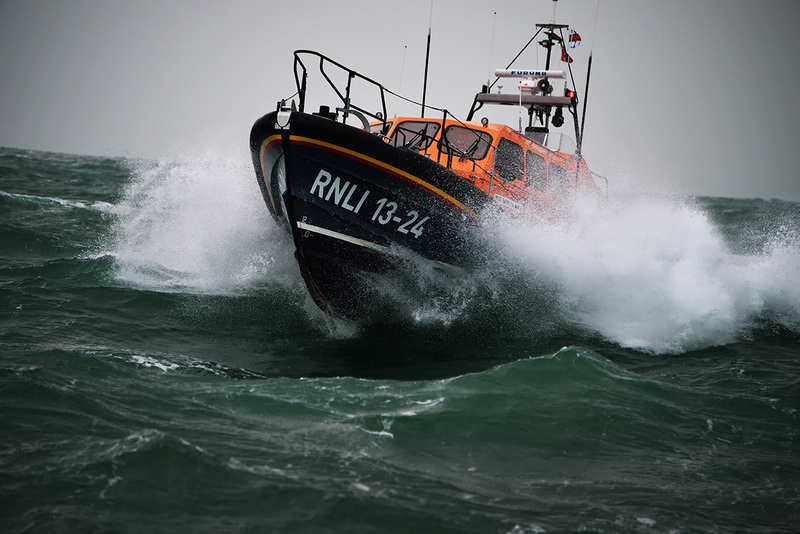 The Shannon class is the RNLI’s most agile and manoeuvrable lifeboat to date. An all-weather lifeboat, the boat uses waterjets instead of traditional propellers to allow them to operate in shallow waters and navigate around hazards more precisely. The Shannon is gradually replacing the Mersey and Tyne class lifeboats which are now nearing the end of their operational lives. Designed entirely in-house by a team of RNLI engineers the Shannon class incorporates the latest cutting edge technology to meet the challenges faced by a 21stcentury rescue service. Energy Solutions have been involved since 2013 and have supplied AC and DC panels for 28 Shannon class lifeboats so far, as well as a range of small power units. As you would expect in a new and innovative build, the engineering team at Energy have worked on minor changes and improvements on the panels over the last five years to ensure the units simplify the operation, construction and maintenance of the power and control system onboard. This will continue as the RNLI roll out more vessels around the country. Energy Solutions offer a full electrical system design, manufacture and supply service to the marine industry and has worked on numerous projects with the RNLI delivering power and monitoring products to fit their engineering team’s specifications. The construction industry in the UK is under pressure to meet new emission reduction targets and deadlines across London and the UK. London has announced that both road and non-road machinery will need to meet new standards by 2020 and European regulation is bringing in Stage 5 requirements for engines of all sizes by 2019/2020. The main focus is on the reduction of small particulate matter and NOx emissions - estimates in 2013 on non-road moving machinery (NRMM) used on construction sites suggested it was responsible for 7% of NOx emissions, 14% for PM2.5 and 8% of PM10 emissions in Greater London*. What are the options for firms needing to meet these targets? Construction firms will need to utilise the new Stage 5 generators for their sites to meet the legislative requirements, however due to the inclusion of additional exhaust elements to reduce NOx and particulates these units have a bigger footprint than their predecessors for the same power capacity, in addition they will need to run at 30 -40% load consistently to avoid damaging the filters. As construction sites often have varying demands for power during the day and night the average is generally closer to 10% load over a 24 hour period which is not ideal. So how do you address this issue and meet the new legislative demands? 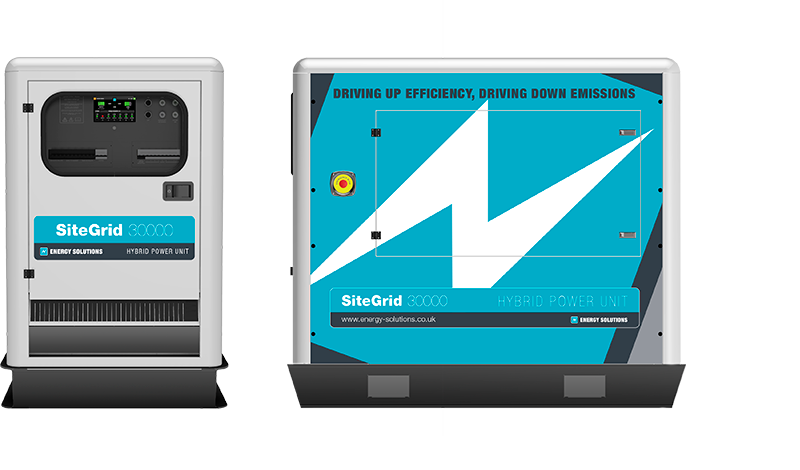 SiteGrid now provides the solution to these problems – it can be connected with a smaller capacity Stage 5 generator allowing the same loads to be met more efficiently, with lower fuel costs and lower emissions. The generator will run when demand is high but when demand is low the genset will switch off automatically and the SiteGrid will run those loads directly (things like site cabins over night or security lighting). During the day when loads pick up again the generator will start automatically and if the loads increase further both the generator and SiteGrid can work simultaneously for a period to power the demand. This ensures that generator is correctly loaded when running reducing filter problems which can damage the machine and reduce up time. The SiteGrid will directly supply power to loads up to 30kVA from it’s internal battery bank, this can be charged either by renewables or by a generator. Power will be stored in the battery bank until needed and the connected generator will only need to start when loads are sufficiently high or the batteries are discharged. By only running when needed the generator will be more efficient, generating less soot and noise. 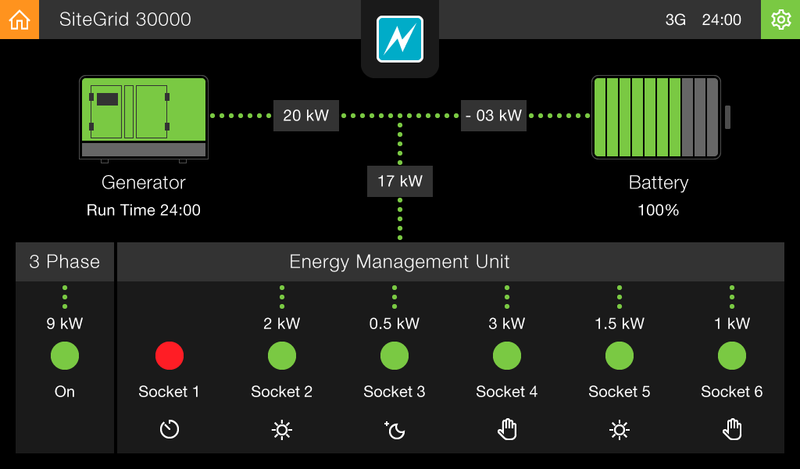 SiteGrid also features a unique Energy Management Unit (EMU) to bring more sophisticated control for sites with a variety of power requirements. The EMU allows 6 separate loads to be fed from the unit and programmed with their own unique schedules. For example – one feed could be for security lighting that is triggered by the in-built light sensor, another could be for the drying cabin that does not need to be heated during Saturday and Sunday. The units are being launched in October with demo units available for one week’s free trial to clients interested in trying out SiteGrid on their own site. Mark Penny, Head of Sales at Energy Solutions explains the purpose of the demonstration units, “We know for construction companies the requirement to meet these new emission reduction deadlines is an additional cost in the short term, but long term the SiteGrid unit will not only help them meet the deadline but also reduce their costs. A trial of the unit will allow them to see the full potential of that saving”. 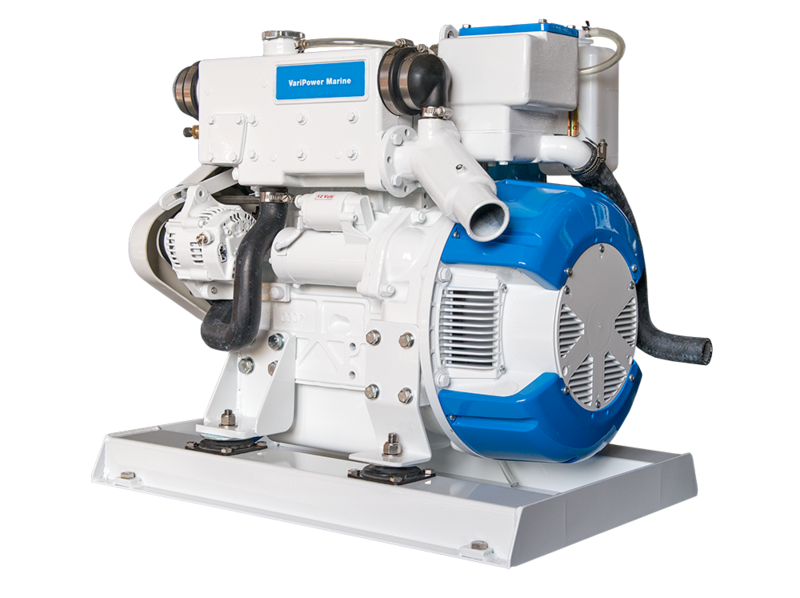 Launching this morning at METS Trade is our unique new variable speed DC generator - VariPower Marine - designed as a key element of our Variable Speed Hybrid Power System. A variable speed DC marine generator; VariPower Marine operates between 900 and 2000 rpm dependant on loads. The unit intelligently adjusts it's speed in-line with demand; therefore reducing running costs, emissions & noise. The unit is substantially smaller than a traditional generator of the same power capacity therefore reducing space used on board a vessel. VariPower Marine will be available Q2 2017 with an optional sound enclosure.